Garry Rudy, age 75, of Aurora, passed away on Tuesday, October 17, 2017, at the Memorial Hospital. A Funeral Service will be held at 2:00 P.M., Saturday, October 21st at the Stockham Community Church. Rev. Paul Nauman will officiate. Interment will be in the Aurora Cemetery. Visitation will be from 5 - 7 P.M. Friday at Higby-McQuiston Mortuary in Aurora. Memorials may be made to the family to be designated at a later date. Condolences may be e-mailed to the family through the mortuary website at www.higbymortuary.com. 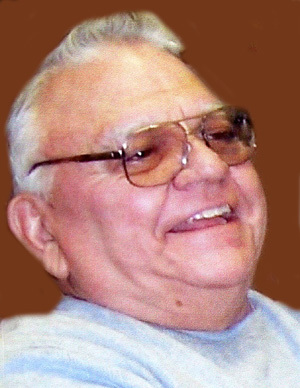 Garry Eugene Rudy, the son of Kenneth George and Glena (Wagner) Rudy, was born in Grand Island, Nebraska on March 23, 1942 and passed away at Aurora, Nebraska on October 17, 2017 at the age of 75. Garry grew up in the Giltner/Harvard area and graduated from Harvard High School in 1959. He enlisted in the U.S. Navy and served aboard the U.S.S. Long Beach, where he was a nuclear missile technician. Garry served for three years before being honorably discharged in March of 1963. Garry was proud to have served as an admiral in the Nebraska Navy. Garry was united in marriage to Bonnie Dieckman on August 26, 1962 in Aurora. When Garry returned from the service he worked for Merritt Plumbing & Heating, Erickson Sales & Service, Hamilton County Ambulance and Smeal Fire Equipment. Garry was a parts man at Grosshans Sales & Service in Aurora for many years before retiring. Garry was a member of the Hampton Fire Department for 50 years, where he served as fire chief for many of those years. He was also a member of the V.F.W. , the American Legion Post #141 of Hampton and N.R.A. National Rifle Association. He was preceded in death by his father, Kenneth Rudy; mother, Glena Rudy and father-in-law & mother-in-law, Merle & Eleanor Dieckman. Those who remain to cherish his memory are his wife of 55 years, Bonnie J. Rudy of Aurora; mother, Bonnie N. Rudy of Aurora; four brothers, Kent (Nancy) Rudy of Alma, Don (Connie) Rudy of Aurora, Bill (Gaylene) Rudy of Aurora and Dave Rudy of Giltner; sister, Barb (Joel) Barnett of Harvard; 24 nieces and nephews; sister-in-law, Barb Etter of Colorado and brother-in-law, Dennis (Kathy) Dieckman of Grand Island and many other family members and friends.